6. THE OPERATIONAL LIMITS OF THE SPOILS SYSTEM. .
1993, 21 et seq., 39 et seq. On the different types of State-owned companies, see the recent description by V.
many others, F. G. SCOCA, Il punto sulle c.d. società pubbliche, in Dir. 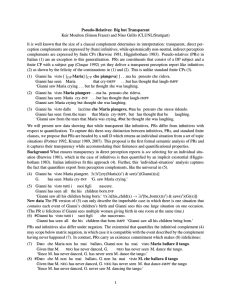 econ., 2005, 239 et seq., G.
inherent guarantees associated with its role2. though often only apparently – with the development process described above3. are commonly referred to as “companies - governmental entities”4. “privato” nella gestione dei servizi economici locali in forma societaria, on www.giustamm.it. seq., now in ID., Scritti di diritto pubblico dell’economia, Torino, 2001, 257 et seq. diritto speciale, Torino, 2009, F. GUERRERA (edited by), Le società a partecipazione pubblica, Torino, 2010, C.
società pubbliche. Ordinamento, crisi ed insolvenza, Milano, 2011.
organized under private law engaged in public functions5. companies, dates back, in Italy, to the beginning of last century. 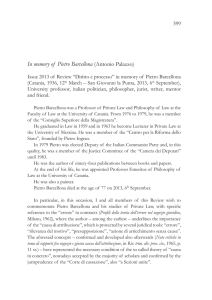 Ricerche, on www.documenti.camera.it., in addition to the scholarly works cited above. were not unheard of, they were definitely a rather isolated phenomenon 6.
was Istituto per la Ricostruzione Industriale (“IRI”). V ed., Roma - Bari, 2012, 11. F. GARGANO e G. VALERIO, Memoria sulla società per azioni (1843), in Riv. soc., 1970, 682, now in A.
MIGNOLI (edited by), La società per azioni. Problemi-letture-testimonianze, Milano, 2002, II, 892 et seq. S. CASSESE, Loc. ult. cit. For the origins of the system and the place of IRI in the corporatist system, see the seminal study of F.
Iniziativa economica privata, in Enc. Giur. Treccani, Roma, 1989, 1, G.
GUARINO, Pubblico e privato nella economia. La sovranità tra Costituzione e istituzioni comunitarie, in Quad. diritto amministrativo nella giurisprudenza della Corte costituzionale », 27-28 September 2007, Bologna, in Dir. amm., 2008, 1, 121 et seq. Fincantieri, Finelettrica. 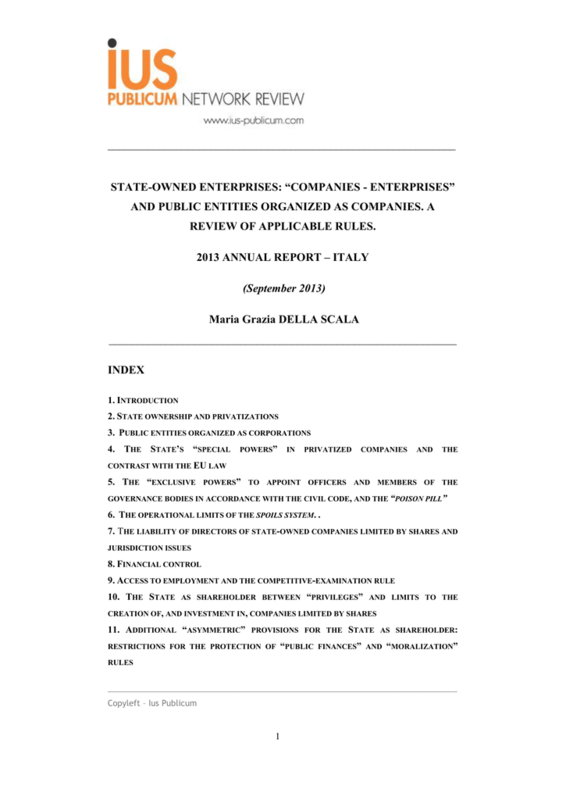 On the system of State-owned companies, reference is made in particular to: S.
CASSESE, Partecipazioni statali ed enti di gestione, Milano, 1962. (Ministero delle Partecipazioni Statali) , which ceased operations in 199317.
the entrepreneurial nature of the economic entities for which they were intended 18. On the “cost-effectiveness criteria” referred to also by law no. 1586/1956, see, among others, A. ARMANI - F.
di diritto amministrativo, Torino, 2012, 86 et seq. 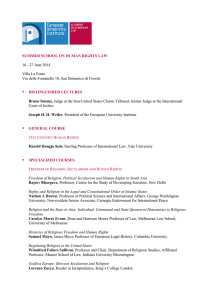 On these events, see: F. MERUSI, Le direttive governative nei confronti degli enti di gestione, cit., passim. Established with law 22 December 1956, no. 1589.
lucro, Milano, 1988, 377, and see Relazione al Codice civile (no. 998). the market over half of its holdings in a given company. Europa, Bologna, 2010, 127 et seq. 2001, su www. dt. tesoro. it., 13-15 and M. CLARICH, Manuale di diritto amministrativo, Bologna, 2013, 349.
the resulting delegated decrees giving rise to entities that, by law, were formally private. italiana, in Dir. amm. 1995, 519 et seq., M. CLARICH – A. PISANESCHI, Privatizzazioni (ad vocem), in Dig. economica, cit., 239 et seq. For the current shareholdings of the Ministry of the Economy and Finances, see www.mef.gov.it. of legislative decree, 15 March 2010 no. 66: “Code of the military order”. the exercise of shareholder rights. players call to mind, though with some differences, the old “management agencies”. economy and finances acting as a leading operator and shareholder. 2007), article 1, paragraph 460). pubblici, Bologna, 1991, 182; see also M. RENNA, Le società per azioni in mano pubblica, cit., 124-125.
legislative decree 14 January 2000, no. 3, with respect to Invitalia S.p.A.
“prudent businessman”30 , according to European imperatives. 3. PUBLIC ENTITIES ORGANIZED AS CORPORATIONS. On this aspect, see V. CAPUTI JAMBRENGHI, Gli aiuti di stato nel diritto comunitario vivente, in Riv. it. dir. www.astrid-online.it., M. G. DELLA SCALA, Società per azioni e Stato imprenditore, Napoli, 2012, 234 et seq. pubblici: Enav s.p.a., Eur s.p.a., Anas s.p.a., Cassa Depositi e Prestiti s.p.a., Sace s.p.a., etc. See P. PIZZA, Società di diritto singolare: rassegna 1999-2003, in Giorn. dir. amm., 2004, 4, 372 et seq. pubbliche e nuovi modelli organizzativi, Milano, 2007, G. GRÜNER, Enti pubblici a struttura di S.p.A.
and vegetable market, and revised further by subsequent legislation. shape the types of connection between “legal company” and State administration – i.e. See, for example, State Council, Sect. VI, 7 September 2002 no. 4711, in Riv. Corte Conti, 2002, 5, 224.
del diritto amministrativo, in various authors, Diritto amministrativo, Bologna, 2005, I, 145 et seq., 152-156. Allow me to refer to M. G. DELLA SCALA, Le società legali pubbliche, in Dir. amm., 2005, 2, 391 et seq. with respect to the more disadvantaged situations”. procedure, no. 241/1990, just to mention but a few controversial issues. Contributo allo studio delle società in mano pubblica, Milano, 2004, 247. State Council, Section VI, 11 January 2013 no. 122, on www.giustizia-amministrativa.it. This will be addressed in the following paragraphs. THE CONTRAST WITH THE EU LAW. companies, attention is called to developments in the so-called “golden share”. See V. CERULLI IRELLI, Amministrazione pubblica e diritto privato, cit., 30 et seq. board and one statutory auditor”. See P. LAZZARA, Libera circolazione dei capitali e “golden share”, in Foro amm. CdS, 2002, 1607 et seq. in Member States governing the system of property ownership”. credit entities, articles 123 and 124.
justifies “special rights” is indicated. they are considered less pervasive than those exercisable ex ante. Republic of Portugal, in www. eur-lex.europa.eu. “pregiudiziale” nei confronti dei soggetti pubblici, in Dir. unione eur., 2007, 4, 815 et seq. v Republic of Portugal, in eur-lex.europa.eu. www. eur-lex.europa.eu, Commission v United Kingdom of Great Britain and Northern Ireland. the end of the period necessary to correct the violation. Thus, the cited law decree no. companies requiring “special powers” (article 1 of cited law decree). no. 56 of 11 May 2012”. 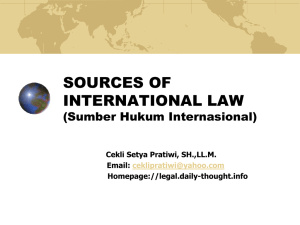 to the State, closely related to its sovereign prerogatives. Constitutional Court, 10 February 1997 no. 29, in Giur. cost., 1997, 233.
limiting to the utmost any distinction in the legislation. See new article 133 of Code of judicial proceedings before administrative courts., para. z quinquies. See new article art. 119 of Code of judicial proceedings before administrative courts . Actually, article 2221 of the civil code shields “public bodies” from bankruptcy, not State-owned companies. common mechanisms of company law. the State as shareholder (article 2459). number of the above-mentioned “singular law” companies. from among State-appointed statutory auditors. See R. URSI, Riflessioni sulla governance delle società in mano pubblica, in Dir. amm., 2004, 747 et seq., A.
ex art. 2449 c.c. ; in Dir. amm., 2009, 2, 267 et seq. 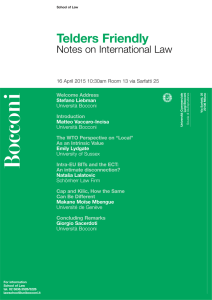 Lately, reference to “special private law” was made by V.
DONATIVI, La nomina pubblica alle cariche sociali, cit., 243. F. A. ROVERSI MONACO, Revoca e responsabilità dell’amministratore nominato dallo Stato, in Riv. dir. and that of administrative courts: Cass. United Sections 4 July 1949 no. 1657, est. Ferrara, in Foro it., 1949, I, c.
926 et seq. For the acceptance of two different sets of provisions related to Government, see, among others: Cass. ordinary courts in connection with disputes on the foregoing appointments and removals. United Sections, 8 May 1980 no. 3024, in Riv. giur. ed., 1980, I, 544, Cass. United Sections, 11 April 1981 no. giurisdizione amministrativa dopo la legge n.205 del 2000 (Epitaffio per un sistema), in Dir. proc. amm., 2001, p. Cass., United Sections, 15 April 2005, no. 7799, in Foro it., 2005, I, 2726. European rules to harmonize company laws. “long-lasting and direct economic ties” with the company. 1986, I, 565 et seq., now in Scritti giuridici, II, Diritto delle società, Padova, 1992, 440 et seq., and see F.
legislatore nazionale, in Riv. it. dir. pubbl. 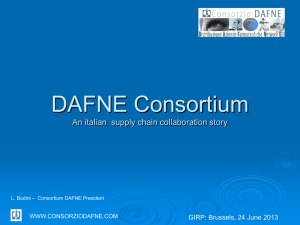 com., 2008, 1, 396.
to AEM, a company owned by the Comune di Milano engaged in the distribution of gas and power. requires a “qualified majority” of shareholders 74.
inclusive of rules on “companies – enterprises” in public hands. company in question. See e.g., among others: European Court of Justice, First Chamber, 11 November 2010 no. and Id., 10 November 2011, C-212/09, Commission v Republic of Portugal, Ibidem. 2010, particularly pages 12 and 24. Legislative decree no. 6 of 17 January 2003, implementing delegated legislation no. 366. 3 October 2001.
prejudice to any special laws”. body holding those administrative rights. via diretta degli enti pubblici nelle società per azioni ex art. 2449 c.c., cit. under paragraph 381, and paragraph 384, do not cause the right to withdraw”. of their instrumentality more than illegal departures from the general law 84. C. PECORARO, Privatizzazione dei diritti speciali e dell’ente pubblico nelle s.p.a.: il nuovo art. 2449 c.c., in Riv. soc., 2009, 947 et seq. 2003, on “State organization”, related to Italia Lavoro s.p.a.
società “pubbliche”, cit., 1 et seq., 2-3. Cinecittà (actually a limited liability company, though with considerations that can be easily applied to Stateowned companies limited by shares.). 6. The operational limits of the spoils system. public authorities in entities, companies and agencies. are confirmed until the date of expiration of the relevant terms of office (…)”. See State Council, Section VI 22 November 2010 no. 8123, cit. 2012 no. 6237, in Foro amm. - CdS, 2012, 12, 3244. State Council, Section VI, 2 March 2011 no. 1305, citation referred to also by TAR Campania, Napoli, Section. I, 23 November 2011 no. 5510, in Foro amm. – TAR, 2011, 11, 3562.
money or the asset under administration that gave rise to the liability92. is caused to authorities and public agencies other than those that employ them (art. 1). economic public agency to the entity to which such director or employee belongs -. dating decision by the United Sections, no. 363/1969. funzione, Bologna, 2005, A. MALTONI, Il conferimento di potestà pubbliche ai privati, Torino, 2005 .
operational processes – as a “participant in the public entity’s general interest activity”97. Cass. United Sections, 22 December 2003 no. 19667, cit. Foro it., 2005, I, 2675, on SO.GE.MI, a company established and majority-owned by the City of Milano. See, extensively, M. ANTONIOLI, Società a partecipazione pubblica e giurisdizione contabile, Milano, 2008. Stato e mercato: alcune proposte di razionalizzazione della disciplina” Roma, 13 May 2009, on www. assonime.it. with the relevant disputes to be devolved before ordinary courts. “detriment to image”, as provided for by article 17, paragraph 30 ter of law no. 102/2009 100.
in Ragiusan, 2011, 321-322, 82. In general terms, on detriment to the Public Administration’s image, see Cass. United Sections, decision 25 June 1997 no. 5668, in Foro it., 1997, I, 2872; more recently, among others: Cass. Accounts, Section II, 14 March 2012 no. 228, in Riv. Corte Conti, 2012, 1-2, 202.
companies whose articles of association are subject to “special legal rules” 102. “companies - public entities” is important also for these purposes. Cass. United Sections, 22 December 2009 no. 27092, in Foro amm. – CdS, 2010, 1, 67. Cass. United Sections, 22 December 2009 no. 27092, cit. For the control system in general and the controls performed by the Court of Accounts in particular: G.
D’AURIA, I controlli, in S. Cassese (edited by), Trattato di diritto amministrativo, 2003,II, 1343 et seq. 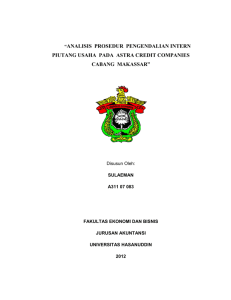 and documents concerning financial management activities” (article 6). The rules on controls over government operations by the Court of Accounts were further reinforced by law no. Constitutional Court, 30 December 1997 no. 470, in Giur. cost., 1997, f. 6. See for all: M. RENNA, Le società per azioni in mano pubblica, cit. consideration of the “substantive” aspects of EU mandated rules. over the meetings of their governance bodies. and more often, in fact, on the basis of the nature of the controlled entity. ibidem, on Arcus s.p.a., a company for the development of art, culture and show business; determination no. Italiana per le Imprese all’Estero, s.p.a.; determination no. 36/2013, ibidem, on ANAS s.p.a.; determination no. 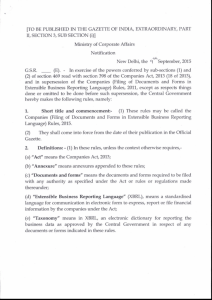 competitive examinations, as required by article 97, paragraph 3, of the Constitution. cononenza per il Tesoro” s.r.l. s.p.a. to the same type of control. See, among others, Cass. United Sections, 2 November 1979 no. 5688, in Foro it., 1979, I, 2548 et seq., Cass. United Sections, 29 March 1989 no. 1538, in Giust. civ., Mass., 1989, fasc. 3, Id., 29 May 1990 no. 4989, in Giust. no. 9095, in Giust. civ., Mass., 2007, 4, as mentioned also by G. GRUNER, Enti pubblici a struttura di S.p.A.
Contributo allo studio delle società «legali» in mano pubblica di rilievo nazionale, Torino, 2009, 286 no. 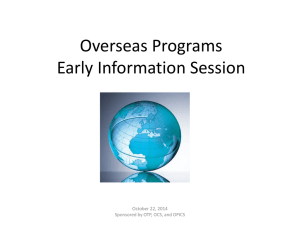 93.
union confederations and organizations or professional associations”. transparency, publicity and impartiality, as advanced also by the EU” (para. 2). it is possible to make distinctions among the companies under paragraph 2.
distinction with respect to the application of public law to these types of organization. selection, while such distinction is becoming increasingly sharper in the general legal order. See TAR Calabria - Reggio Calabria, Section I, 17 April 2012 no. 282, in Foro amm. - TAR, 2012, 4, 1417. Cass., United Sections, 22 December 2011 no. 28330, in Foro amm. - CdS, 2012, 1, 31. See, Cass. United Sections, 22 December 2011 no. 28330, cit; State Council, Section V, 4 December 2012 no. also, Constitutional Court, 3 March 2011 no. 68, in Giur. cost., 2011, 2, 1053.
creation of, and investment in, companies limited by shares. In the first sense, attention is called to article 19, paragraph 4 of law decree no. moralizzazione e amministrativizzazione, on www.amministrazioneincammino.it, 2012, 9.
activities or for economic or financial purposes”. companies by regional and local authorities. submitted to the Court of Accounts. that had been finally settled. has long been abandoned. In fact, public entities are attributed general legal capacity 124. April 2013 no. 269, in Foro amm. - TAR, 2013, 4, 1403. 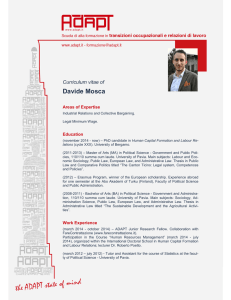 On these profiles, recent writings include: S. VALAGUZZA, Società miste a partecipazione comunale. 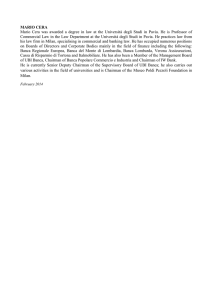 di sintesi, in S. Raimondi, R. Ursi (edited by), Fondazioni e attività amministrativa, Proceedings of Convegno Palermo, 13 May 2005, Torino, 2006.
commonly accepted the principle that local authorities could buy and sell shares of industrial companies . See, e.g., article 2449 of the civil code, of which more hereinbelow. See State Council, Section V, 14 December 1988 no. 818, in Foro Amm., 1988, fasc. 12. M. C. Malaguti, A. Mazzoni, cit., 57 et seq., particularly 98 et seq. F. LUCIANI, “Pubblico” e “privato” nella gestione dei servizi economici locali in forma societaria, cit. and direction criteria laid down therein131 . to pursue the general interest. More properly, as highlighted by recent case law, article 3 cit. principio di legalità e ordinamenti giuridici, in Dir. amm., 1999, 1, 111 set seq. authorities: R. CAVALLO PERIN, Comuni e province nella gestione dei servizi pubblici, cit., in partic. 112 et seq. and, in general terms, among others: TAR Umbria – Perugia, Section I, 28 August 2012 no. 335, in Foro amm. TAR, 2012, 7-8, 2305. Cagliari Sardegna, Section I, 5 April 2013 no. 269, in Foro amm. - TAR, 2013, 4, 1403, Court of Accounts, Reg. article 117 of the code of administrative procedure, see again TAR Cagliari Sardegna, Section I, 5 April 2013 no. contract, which falls under the ordinary jurisdiction. unless there is a specific legitimating situation (….)”. State Council, plenary conference, 3 June 2011 no. 10, in Foro amm. – CdS, 2011, 6, 1842. Constitutional Court, 8 May 2009 no. 148, cit. ; in a similar vein: TAR Puglia, Bari, Section I, 17 May 2010 no. companies in public hands including, among these, State companies. toughening governance rules and increasing transparency in their management. 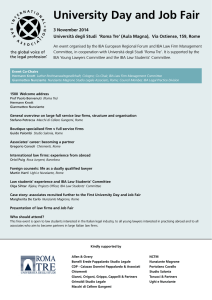 costs, tightening the legislative framework. See art.3, para. 14 law no. 244/2007, cit. preceding five years, served in a similar position in a company that reported losses for three consecutive years”. For an “authentic” interpretation, see article 3, para 32 bis, of law no. 244 of 24 December 2007.
expenditure for the purchase of goods and services, by item, by government authorities. more generally, accountability of the complex system of State-owned enterprises. hands” other than companies established by operation of law to carry out public functions. State-owned companies and administrative activity. See article 8 of law decree no. 98/2011. amministrativa, in S. Raimondi, R. Ursi (edited by), Fondazioni e attività amministrativa, cit., passim. pubblici, Milano, 2008, 3145 et seq. with the application of all inherent institutes and principles. pubblici, in Dir. amm., 2010, 2, 325. 1938, 455 et seq., 512.
otherwise entities required to comply with the principles of the administrative procedure”. State Council, plenary conference, 22 April 1999 no. 4, in Giorn .dir. amm., 1999, 946. This formulation derives from the new developments introduced by aw no. 15 of 11 February 2005. Giustizia 2012, 5 November, on Autobrennero s.p.a.
this law and other provisions governing individual procedures, as well as by the principles set out by EU laws”. State in connection with their public administration functions”. “L’impugnabilità degli atti amministrativi”, Siena, Certosa di Pontignano 13 – 14 June 2008, on www. giustiziaamministrativa.it.